Hours vary depending on programming and time of year. Want to keep updated with the latest FHCA news? Do you have questions, feedback, or suggestions for the President or Board of Directors? Do you have a question about a program, or suggestions for a program? Are you interested in becoming an instructor? Do you have a suggestion or comment about the web site or the newsletter? 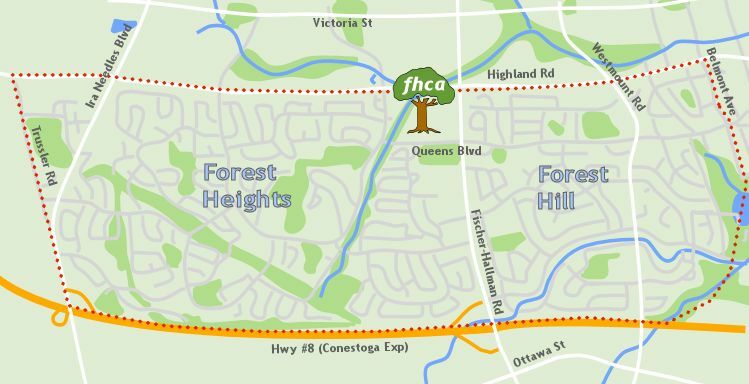 The FHCA supports community members and residents of both Forest Heights and Forest Hill. Click here for a map of the area we serve.